When we were asked to film a segment for Palenque tours about sustainable tourism in Colombia, and that included Colombian Hot Chocolate we jumped at the opportunity. Like our stories about the transforming Medellin, this is another perspective of how Colombia’s dark past is no longer, and this country is moving on to create a viable future of life and business. We took a day trip to the eastern highlands of Antioquia, to the farm of Gildardo and his wife Margarita, outside of San Francisco, roughly two hours from Medellin. This area of Colombia is a perfect climate and setting for growing Cacao, which is the seed of the fruit that transforms into chocolate. Gildardo and Margarita shared with us their story of how the war impacted their farm, a story that significantly changed our perception of Colombia’s past. The guerrilla groups of the FARC and ELN forced this family and others from their homes since they refused to produce Coca, the plant that is used in the production of cocaine. Other farms gave into the demands of these groups, soon after Coca was the only crop produced in the area. The displaced families including Gildardo and Margarita started to rebuild in their new farms with the help of the United Nations. 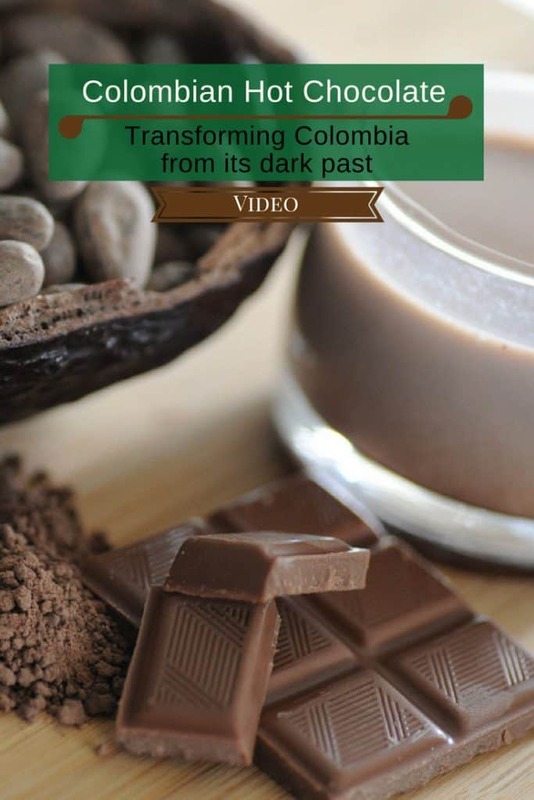 They supported this community of farmers to find other means, to grow cacao and fund the equipment for the community to roast and grind and melt the dried seeds into making delicious Colombian hot chocolate. Cacao is not unknown to Colombia. In fact, indigenous tribes used cacao seeds for trade with other tribes and chocolate was seen as a delicacy. 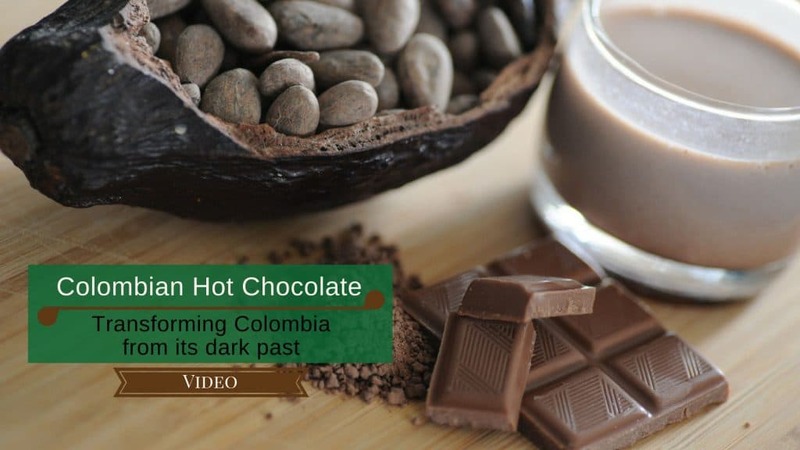 Today, Colombian hot chocolate is consumed as the primary morning drink and can be found in all parts of the country. Our opportunity as travelers is to help by attending tours that support sustainable progress, the more we know about these community initiatives, the more we can create our own positive impact in the world. Interested in seeing how Colombia is changing since the Peace Treaty? For more stories and videos about our travel, living and working in Colombia you can find them here. here.